Flying the BEST around the World was paramount to creating a once in a life experience for my mom’s 75th birthday surprise trip. How could she fly the world’s best and not fly in Singapore Suites?! Well…not only did she get to fly in them…All 3 of us got to fly in the Suites! Let me show you how Miles strategized this portion of the trip and, ultimately, how we booked 3 Singapore Suites – one of THE MOST desired ways to travel. Here are some features of Singapore Airlines you should know, and we utilized. 1) Singapore releases these seats to their own members. Singapore doesn’t release their Suites to partners, so if you wanna fly in them…you need their points! 2) Singapore Airlines Krisflyer is a popular transfer partner of major credit programs. Singapore Krisflyer is one of my favorite programs because you can earn their points so easily without flying them or any of their partners. 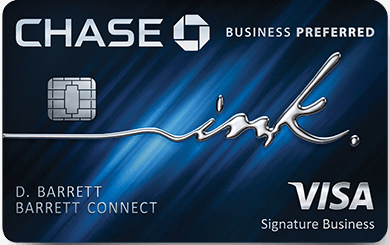 Simply earn valuable flexible credit card points and transfer into the program! Yep…this is what we did. We booked tickets from Beijing to Singapore to Dubai priced as one continuous ticket with a layover in Singapore. BUT, we paid $100 and created a STOPOVER in Singapore for 8 nights. We went to Bali during that time, came back to spend a few nights in Singapore, and continue on to Dubai. Yep! As long as you have the miles in your account you can waitlist your flight in first class, secure a spot in business class, and if they open a seat in first – you’ll be notified and you can claim your first class seat. There are a lot of reports that the waitlist doesn’t always notify you when you clear…so you should double check your dates to see if a seat has opened up. Singapore will let you fly Bali to Singapore to Dubai, but won’t let you fly from Singapore to Bali to Dubai as that would constitute backtracking. So how did Miles make use of these features to book us 3 Singapore Suites? Miles searched for availability on Singapore Air for the dates we wanted which were about 9 days apart. Then we called into Singapore to book. As I mentioned above, and one thing many people aren’t aware of, is that you can pay $100 to stopover and book the ticket as one continuous ticket rather than two separate one ways. So while you want to search for availability as two one-ways, you want to book as one ticket. This is beneficial because if you were to book this same itinerary as two one ways it would cost 120k Singapore Miles. We were planning on flying Suites to Singapore, then take a separate trip on to Bali for several days, come back to Singapore for a few more days, and then hop back on this itinerary and fly to Dubai. Paying the $100 meant we could accomplish all of this and pay the 97.5 rate instead of the 120k. The craziest thing happened. Less than 24 hours after we booked our tickets my dad got email confirmation that his waitlist cleared for the first leg in Suites. We called into Singapore and they acknowledged that a mistake email had been sent out, but that it was their fault, and they would honor it! WHAT?! That meant in December, 3 of us had confirmed seats into Suites in April!!!! Two days before we were scheduled to fly to Singapore, I saw that there was a first class seat available from Singapore to Dubai, yet neither my dad nor I had been sent notification that we had cleared the waitlist. I called Singapore Air and upgraded my dad. 12 hours later, I received an email that I had cleared the waitlist. So BOTH of us got upgraded within 12 hours of another, and we had confirmed seats in Suites to Singapore and First to Dubai. However…because we were changing our business class seats to First on the Singapore to Dubai leg, the award needed to be repriced at the new devalued rates – which meant more miles ( since we the 15% discount was no longer available), but dropped the $ considerably. This was something I had really been hoping for…It’s Singapore’s Lounge inside a lounge inside a lounge and it’s ONLY available to those passengers flying out of Singapore in First Class. After we upgraded our tickets it meant that we’d not only all get to FLY in Singapore’s First Class from Singapore to Dubai, but we’d ALL get to experience one of the MOST EXCLUSIVE LOUNGES in the World: The Private Room. Great post. The downside of the wait listing and booking biz class, is that you HAVE to have the points in your account. If you don’t clear the wait list, then you are basically stuck with all of those extra points in your account for who knows how long. Assuming they were transferred from a credit card partner, this creates a dilemma.